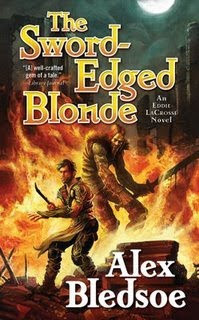 I just finished The Sword-Edged Blonde by Alex Bledsoe. Excellent mash-up of S&S and hard-boiled detective noir. Sword jockey Eddie LaCrosse takes on a case that forces him to dig up a tragic past in order to solve the present. Bledsoe gives just the right touch of fantasy tale and detective story and the pairing works. I found his take on the mash-up easier to get through than the Garrett novels by Glen Cook or Simon Green's "Hawk and Fisher" series. The others were serviceable but I had to be in the right mood to read them. On the other hand, Sword-Edged Blonde drew me in easily and kept me there up to the last page. 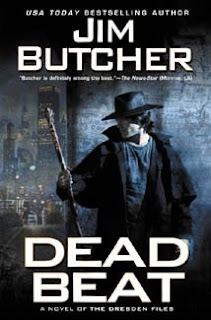 And now, I turn to the 7th book in Jim Butcher's Dresden Files series, Dead Beat. Always an entertaining read, that Harry. 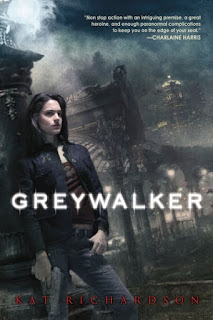 After that, I'll be picking up Greywalker by Kat Richardson. Read the blurb, thought "Nice premise." Then promptly didn't buy it. Dunno why. Anyway, I see the series is at Book #4 so I have enough to keep me busy without having to wait impatiently untill the newest book comes out.